Opposition Movement for Multiparty Democracy (MMD) presidential spokesperson Muhabi Lungu says the Patriotic Front aligned Post Newspaper has become so predictable that not reading the publication for one week will be as good as not missing out on anything it carried. “I can go a week without buying The Post, I can predict what they will say,” he said when he featured on Radio Phoenix Let the People Talk programme this morning. Lungu said the Post Newspaper that formerly represented a critical voice had auctioned itself to the ruling elite. “I had a lot of faith in The Post in fact hardly a day past without reading The Post but now I go for weeks without reading it. You cannot have a situation where all three papers are singing the government song when things are not so well,” he said. Muhabi, an eloquent economist who has spent the last few weeks dissecting the issue of subsidies, appealed to Zambians and advertisers to support the Daily Nation as a credible source of objective news coverage in the country. The Post Newspaper is owned by President Michael Sata’s ally Fred M’membe who belongs to the cartel that is controlling the Head of State and persecuting former president Rupiah Banda as well as creating confusion in the governance system. “I urge all advertisers to be brave and bold to advertise in the Daily Nation,” he said. This was after a caller denounced The Post for publishing a factually incorrect and professionally impaired articles on opposition UPND leader Hakainde Hichilema’s successful visit to the Copperbelt. Muhabi said the PF was a confused party that did not know whether their ideology was socialist or capitalist, whether they believed in Christianity or witchcraft. “Just like a political party, humans beings must have an ideology in which they live their lives. PF are very confused they don’t know weather they are socialists or whatever, whether they believe in Christianity or witchcraft,” he said. Although unrelated to Muhabi’s sentiments, some sections of society are suspecting the practice of sorcery at State House. Muhabi said President Sata was the first President since independence to have run away from his own people who elected him without facing them through a press conference to address their issues. “President Sata you owe it to us the people so come out and talk to us,” he challenged the allegedly “coward” leader whose only interaction with the public has been during swearing in ceremonies where he is not asked any question but issues uncoordinated statements ranging from “bald heads”, “dry lawns” to “diatribes at his officials”. Muhabi says it was shocking that President Michael Sata always found it easy to make public addresses in foreign countries but has never addressed the Zambian masses in almost two years. He also said the PF had duped the Zambian people that they had evidence to prosecute former President Rupiah Banda but were now fishing for evidence. Muhabi said President found it easy passing jokes at foreign functions but had refused to talk to the Zambian people who are his masters. “Is it not strange that the President is not talking to us yet we see him making jokes in foreign countries. He has never talked to us in almost two years that he has been in power. He has become the first head of state never to talk to his people,” Lungu said. He said the PF had resorted to doing the same things they condemned the MMD for. “You were saying RB travels too much but now you are never in the country and you even use the chopper all the time. The evil of the wicked is enhanced by the weaknesses of the virtuous,” he said. He said MMD had suffered from the effect of their image being hammered down as a corrupt party. Lungu said the 20 years in power had made it difficult for the former ruling party to make itself attractive to the masses. 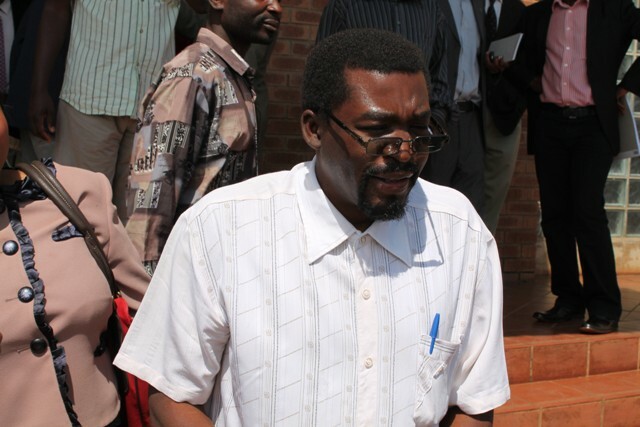 He said while Justice Minister Wynter Kabimba had told the nation that investigations against Banda had been concluded the PF were now saying they are still investigating him. Lungu said it was clear that they were a hurry to nail Banda leaving to neglect coming up with a strong case.